You may have noticed, I have been on a temporary leave from advantaged thinking over the last month. I thought about putting a sign up, to say it was closed until further notice. I remember seeing my first sign like that when I was about 6, standing outside a park with my mum, confused by the council sign that had fenced off the green space where I wanted to feed the birds. In the wonder of childhood innocence, I asked ‘Do you think they will open it when they see that we have noticed that it is closed?’ Nothing my mum could say in answer made any sense. I had noticed, surely that was enough. Why couldn’t they be open? Not that activity on this blog is the only sign of winning or losing the fight – and I make no apologies to say it is a fight – to overcome the disadvantaged thinking cell lodged in our social brain. The domino of advantaged thinking has long since spiralled out into the world to pattern change. I expect one day someone will explain to me what it all means. 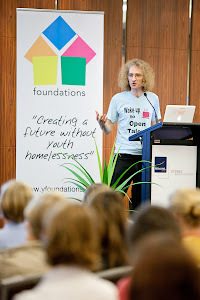 A couple of weeks ago saw the Foyer Federation’s Dickensian policy event, exploring how to turn current ‘Hard Times’ into ‘Great Expectations’ with and for young people. It was a great day, with brilliant presentations from the young people and staff at Bridge Foyer in Chester and Crewe. My small contribution was a few minutes outlining the dangers of being ‘addicted’ to deficits in our current way of work. I began this by a rather fortuitous connection between Dickens and Hamlet, one of the key subtexts within the Great Expectations novel. Like Hamlet, we face a fundamental choice of being – ‘to be or not to be’. We can either face up to our role to confront and reform the status quo, or accept our place to perpetuate its injustices. For an organisation like the Foyer Federation, this is a ‘no choice’ choice. We were established to ‘be’ – it is our role as a charity to fight for a better deal for young people by challenging the status quo. We don’t take prisoners. But like Hamlet, we’ve learnt that to ‘be’ takes time. To confront the world we wish to transform requires a fleet-of-foot mind. Transformation will not come about by simply ‘revealing’ disadvantaged thinking like at the end of a Scooby Do cartoon, or logically proving the case for its advantaged thinking antithesis in a court room drama. So what is the solution? Just before the end of March, I had a fascinating conversation with someone who told me a story about a housing association. They had worked with him to choose between their existing model of supporting people, entirely deficit based and limited in its impact, and a new more exciting advantaged-thinking approach that would achieve thriving outcomes. After long deliberation, understanding all the facts, they chose to stick with the current system. They chose ‘not to be’. It felt like a revelation. We are so used to thinking and working in disadvantages, nothing is going to just open us up to change things on the strength of a convincing argument. It’s actually experiential-based policy that brings about lasting personal and social change. Working with Open talent over the last 3, I’ve come across 4 main types of ‘addicted’ behaviours. 1) ‘We’re already doing it’ – Those who are in such self-denial that they are unable to ‘come clean’ and face up to the prevailing deficit-based assessment, support, outcome and HR models that require reshaping. Typically, they will claim to already be ‘opening talent’, and will just ask for the funds to continue what they already do. 2) ‘You’re thinking what we’re thinking’ – Those who have turned self-denial into a sophisticated form of disadvantaged double-speak, who will use all the positive rhetoric of aspiration but will preface that with a belief that ‘Britain is Broken’ and young people are best described under the usual disadvantaging stereotypes. Typically, their ‘new’ solution will actually just replicate existing models that don’t work. This lack of authenticity is often seen in politicians, policy makers, and some of the more forward thinking charities who have adopted the language of positive ‘being’ but have not confronted the responsibility ‘to be’ a true advantaged thinker. 3) ‘Give it to me, just let me do it’ – Those who want a quick fix solution and believe that change is just a project that you do and deliver rather than a set of behaviours and beliefs that you live. Open talent and advantaged thinking are not 1 page bullet points you put into a policy and move on with. You have to become the change you believe in. 4) ‘Disadvantaged thinking works for me’ – Those often living in communication and fundraising departments, and organisations who have lost their soul, for whom disadvantaged thinking is a way of creating co-dependent relationships. They perpetuate disadvantage through the images and language of impoverished stereotypes that solicit funds and public support to keep the whole sham going on and on. It’s a virtuous circle without any virtue in it. They cheapen charity to the shake of a tin. Over the year ahead, The Foyer Federation is working with those who want to break out from such addictions through a process of experiential learning together, to create a community of practice to shape and lead a more advantaged thinking world. Where ever you are in the spectrum of to be or not to be, I urge you to join us in the movement for justice and change. Everyday, we can live this choice: to leave something behind, to let go of a disadvantaged approach, and to grow something ahead, to build an advantaged jigsaw piece in our larger world. Young people often remind me of the park I saw when I was 6. Places full of talent, with the gates artificially closed. Well, we are taking notice to open them.